Shopping for a mortgage loan? We'd be thrilled to talk about our mortgage offerings! Call us at 602-647-2555. Ready to get started? Apply Now. 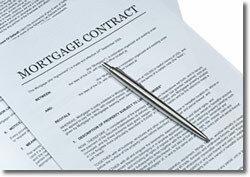 There is little question that getting a mortgage loan is a complicated process. You wouldn't be researching mortgage loans if you could get a loan in one day by filling out a simple application. We do the heavy lifting for you, so you can concentrate on what's important — preparing to move into your new home or saving money. This is a function of a couple things. What kind of monthly payment are you looking for? And given your unique credit and employment history, income and debt, and goals, how much will a lender loan you? Use the calculators on our website to determine your monthly payment amount. We'll also help you through different scenarios by asking a few simple questions. Based on standard lender guidelines, we'll get you a good idea of what kind of terms and loan program you can expect to benefit most from. This is where the rubber meets the road and Scott Fenner & The Mortgage Team can really save you money. You will provide details about your employment, assets, and your residence history. You'll give us your employment, asset, and residence history information. We get your permission to pull your credit score and report. After we've reviewed the provided information, we'll provide a pre-qualification letter. Handle it with care — it is a great tool for buying your new home! With this letter, your REALTOR® will negotiate the best deal for your new home. The pre-qual letter gives you buying clout! While you're picking out the home that's right for you, we are looking for the best loan program for you. After you've signed an offer and the sellers accept it, you should apply for the loan. Applying for your loan could not be much easier; you can apply from the comfort of your home right here on our site. At the end of this step, we will order the appraisal of your new home. The agents will find a title company to handle the "funding" and closing. We'll coordinate with this company to make sure all the papers your lender will require are in order, and you will probably}likely sign all these papers at this company's office. We do all the work to coordinate with this company to set your date of closing. Since you will not have to worry about these details, you get to concentrate on moving, painting, carpet, and the fun parts of getting your new home. You've answered some few questions, provided detailed information, applied , and the next thing you know, you are deciding when to move in! Scott Fenner & The Mortgage Team is in the business of mortgage loans; you're not — so we take care of the details. Doesn't that sound nice? Have questions about the loan process? 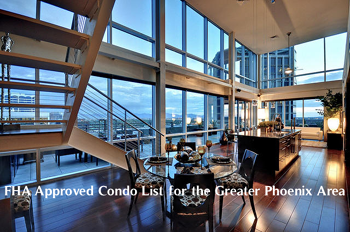 Call Scott Fenner & The Mortgage Team at 602-647-2555. It's our job to answer lending questions, so we're happy to help!